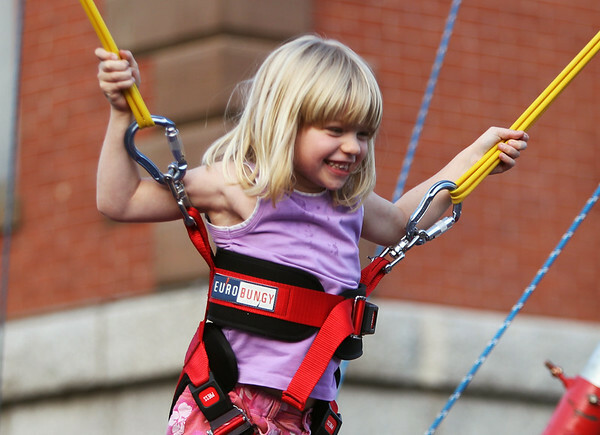 Five-year-old Kennedy Sharar, of Andover, flashes a wide smile while bouncing up and down on a bungee jump at Oldies Night in downtown Danvers on Wednesday evening. DAVID LE/Staff photo. 6/25/14.